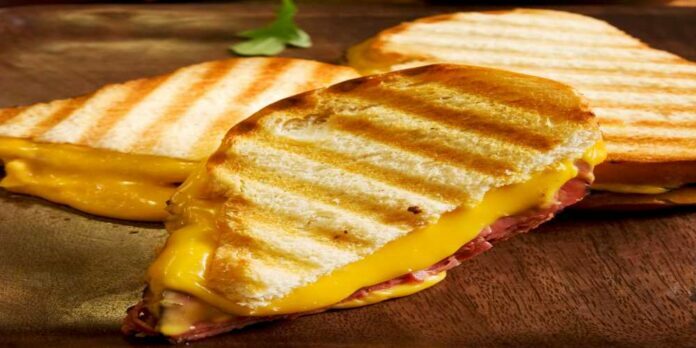 The early grilled cheese sandwich began centuries ago. It was made in many different countries. It became popular in the 1920’s in the United States when processed cheese and sliced white bread were sold. It was a tasty affordable sandwich that both adults and children liked. In World War II many navy cooks broiled sandwiches for the sailors because it was a popular meal and economical. Over the years the recipe has changed to include many different ways to make a grilled cheese sandwich. Today grilled cheese sandwiches are made on wheat or whole wheat bread for a healthy alternative. A grilled cheese sandwich on whole wheat is an easy meal, comfort food, and can be made many different ways. This alone makes it a classic sandwich to be cherished and appreciated. Never underestimate the power of a grilled cheese sandwich on wheat on a late night of study or work. It is like a candle that lights a dark hallway for the hungry person that does not want to cook. It is one of the top ten sandwiches of the year. What do you need to make a good grilled cheese on whole wheat sandwich. You need a good whole wheat bread with whole grain flour that has some fiber to it. It should be sliced and ready to go. Commercial brands are ok too but don’t have the same nutrition. There are many ways to make a grilled cheese on whole wheat. You will need two slices of bread, cheese, a frying pan, butter, oil, cooking spray, spatula, potholders and plates. A good meal to make Sunday nights when you ate a big meal at noon. Today grilled cheese on wheat can use different types of cheese for a great variety of sandwich tastes. You can use cheddar, pepper jack, Swiss, provolone, muenster, and American. Often a grilled cheese on whole wheat can have other ingredients like sliced tomatoes, hot peppers, onions and different dressings. Melted butter is easier to use on the bread when you grill the sandwich under the broiler or on the grill. When you cook a grilled cheese on whole wheat under the broiler you need a flat baking pan lined with foil. Cooking spray should be sprayed on the foil so the bread does not stick. Lay down the slices of bread and put cheese and toppings on one slice and spread melted butter on other. Broil under the broiler until cheese is melted and bread with butter is browned. Take out and put browned slice on top of melted cheese. Cut and serve on plates. Watch them every second when cooking they burn quickly. You can add thousand island dressing, ranch, with topping for added flavor to grilled cheese sandwiches Grilled cheese on. whole wheat needs some extra flavor. That is why using different cheeses, toppings and sauces can give them flavor. A grilled cheese on whole wheat is a unique dining experience. Next articleYour Mom Called And Said…..